Home > Blog > Kilim > Kilim Rugs: What Makes Them Special? 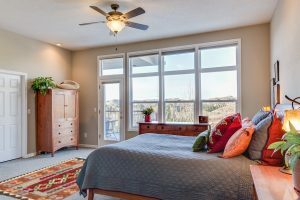 Though some people consider the use of Kilim rugs to be a newer trend in Western décor, the rugs themselves have been around since ancient times. Originating in the former Ottoman Empire (in particular the region in and around Turkey, Iran, and Mongolia), Kilim rugs are woven rugs that are small and have traditionally been used as prayer rugs. These colorful rugs lend a touch of bohemian flair and exotic beauty to modern home décor. Kilims are flat rugs woven by hand, combining the warp and weft fibers so that they lay as flat as possible. Their flat weave is the main distinguishing feature of these rugs. Most kilims are made from a combination of wool and cotton, as these are not only organic, but most likely what the local weaver has at-hand. Most modern kilims have been woven in Turkey, Afghanistan, India, and Iran. Kilims feature rich cultural symbolism that represents their weavers and the communities they inhabit. Many of these symbols are floral or geometric in design and have cultural and religious significance. Most kilims are brightly colored and durable, making them perfect for home décor accents. Kilims and their patterns bring the perfect “wow” factor for those who love bold, bright colors or sharp, contrasting geometric designs. Alternatively, why not try and bold black-and-white design with accents of grey for a stark contrast with sophistication? For those looking for more muted tones for their homes, consider the uses of an overdyed kilim or one that has been woven in more muted, natural colors from the fibers available. While larger kilims make fabulous and unique floor coverings, their smaller sized counterparts make beautiful wall hangings, especially on large, blank spaces. Because many of these designs have a dark or black background, the colors produced really pop against the darker shades, and the smaller rugs can be used as focal pieces above large furniture. Here’s a fun idea for college students in a dorm room, where floors (and the rooms in general) can be a bit boring and drab: why not use a small but long flat rug as an accent piece on your floor? We’ve already mentioned how beautiful these look on blank walls. Why go with the average poster when you could simply hang a kilim? Larger kilim rugs are wonderful on hardwood floors because their colors and durability can withstand foot traffic and keep out drafts in winter, as well as adding a pop of color and geometric design to an otherwise plain room. These flat rugs also make lovely accent pieces as heavy throws draped across larger furniture such as couches and large chairs. Kilims lend an air of world-traveler sophistication and an interesting textural accent to any room. Antique kilims are wonderful to use as wall hangings, and if you’ve been gifted one as part of an inheritance, there may even be some interesting travel stories attached to it. Whether you are adding to your collection or looking to start one today, consider a kilim for your next home décor purchase!